We offer a range of environmental education and training in locations across Australia, servicing the needs of businesses, schools, community groups, individuals and revegetation projects. We can also help you with accredited training. 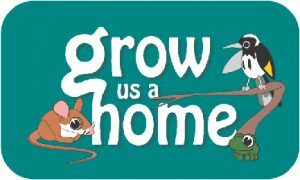 Grow us a Home resources featuring teacher references for activities in the Swan River region of Western Australia. The Green Hub is our portal for teachers and educators across Australia. Murder under the Microscope involves student detective groups investigating a potential environmental crime using clues beamed into the classroom via SBS TV and Internet Broadcasts. They compete to solve the mystery first, and submit a Catchment Management Plan to address the problems raised by the scenario. Suitable for Yrs 5-8, register before March each year. Enter the dark and dangerous interior of a polar bear, a whale and a human to blast away the toxic threat. An interactive sustainability website for teachers and students that covers nearly every environmental issue imaginable! 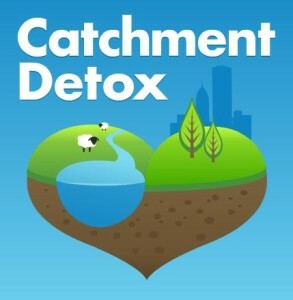 An online game where you’re in charge of the whole catchment. You get to decide what activities you undertake – whether to plant crops, log forests, build factories or set up national parks. The aim is to avoid environmental problems and provide food and wealth for the population. Robert Powell, Dept of CALM, 1990. A solid book describing the common trees and tall shrubs (overstorey plant species only) of the Perth area. Text describes the plant, its’ identifying features, associated fauna and often outlines human uses or connections to the plant. Clear line drawings. Easy to read. Eddy Wajon, Wajon Publishing Company, 2000. A small book with clear photos showing plants grouped by flower colour. Easy to use. Margaret Pieroni, Quality Publishing Australia. Simon Neville & Nathan McQuoid, Simon Neville Publications, South Fremantle. Margaret G Corrick and Bruce A Fuhrer, The Five Mile Press, Monash Univ. 1996. A pocket sized book that outlines some of the connections between local plants and Aboriginals. Colour photos and short text makes this book easy to use. NG Marchant et al., Western Australian Herbarium, Dept. of Ag WA, 1987. WE Blackall & BJ Grieve, University of WA Press. 5 books designed for the quick, easy identification of plants of the south west of Western Australia. The plant keys described use visible plant features to distinguish the different plant species. Sue Patrick, Dept of CALM, 1997. A small booklet that sets out the steps needed to make a plant herbarium (collection). The Plant Protection Society of WA, 1997. This is a great guide to weeds in your bushland. Make sure you pull out the weeds, not a strange looking native plant! Kate Brown & Kris Brooks, EWAN, 2003. This practical, local manual was developed to help land managers deal effectively with weed management in their bushlands. Dieback Working Group, Edition 2, 2000. Small booklet that aims to help people recognize and better manage the potential impacts of dieback on local bushland. BMJ Hussey & KJ Wallace, CALM, 1993. This practical guide is designed to help farmers and land managers preserve or expand native bush on their land. Robert Powell & Jane Emberson, WA Naturalists Club, 1996. A practical book that aims to inspire people to value and grow local plants in their gardens and in our public spaces. The plant-list has nearly 1 500 entries of known species native to the Perth Metropolitan Region – linking them to the soil types on which they are found. 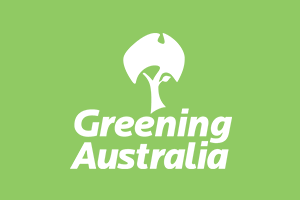 Greening Australia WA in association with Western Power and the Waters and Rivers Commission, 2nd Edition, 1997. A booklet showing 75 local plants grouped by growth forms – e.g. shrubs, pond plants, trees. Books that help to set a context for the natural resources of metropolitan Perth. This large format book has an overview of the natural features of the Perth metropolitan area. It contains a simple plant identification chart for local Banksia and Eucalyptus species. Pocket sized books – appealing to children and adults alike. Colour photos and short text makes these books easy to use. There are books that encourage family bush walking – e.g. Walks in Perth Outdoors.